Simple Bistro is delicately perfect. A favourite French Bistro of my mum’s, we went here this weekend for a Sunday brunch. 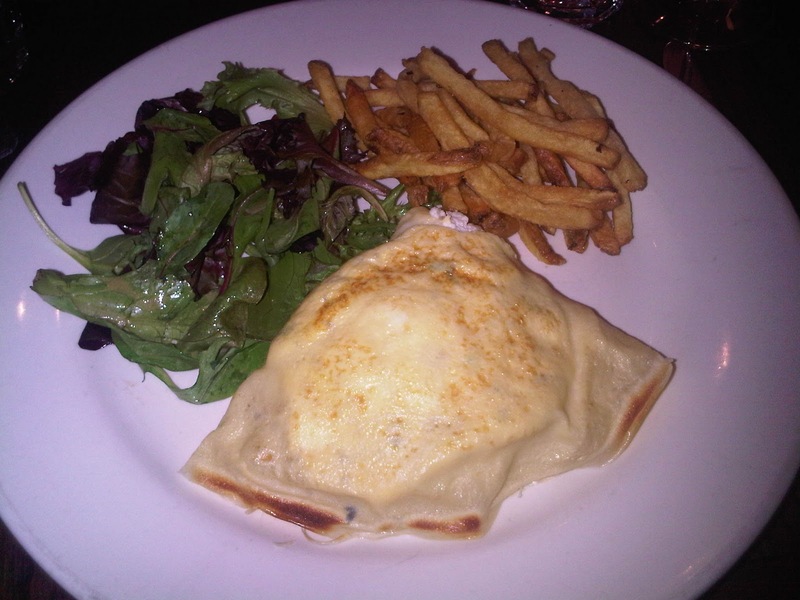 French Bistro’s are a plenty in Toronto but Simple Bistro does it so well, giving the feeling of eating in the streets of Paris at a cozy bistro with some light bites of French classics such as egg, cheese, pear and vinaigrettes. Located on the Mt. Pleasant strip Simple Bistro is neighbours to quite a few French food eats. With a simple exterior of black with “Simple Bistro” in plain black type across the front on a beige strip, it just looks charming and inviting. Once inside, the bistro is simple. Wooden tables and chairs accompanied by a mulled red seat cushion, the place just has that charming bistro-feel. After too much chatter and a few glasses of wine we finally got to the menu! And what a tough decision it was, each dish just sounded perfect in its own way, and it was so tough to decide between a favourite egg brunch or a lovely steak frites. Three of us decided on the crèpe du jour, filled with mushrooms, truffled scrambled eggs and chèvre. Truffles, mushrooms, chèvre….need I say more?? My mum had the quintessential steak frites. 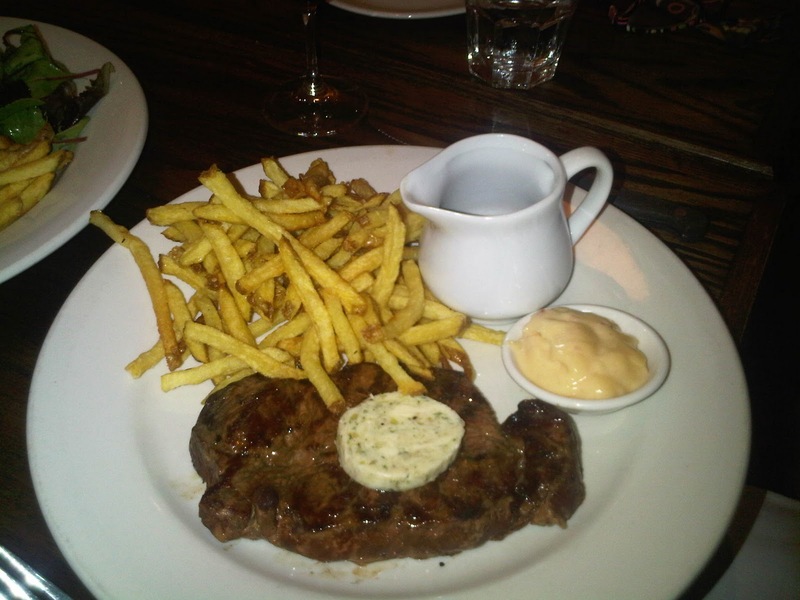 A beautiful piece of striploin cooked rare with horseradish butter, red wine jus, frites and chipotle mayonnaise. Every component of this just worked numbers together. The horseradish butter was a great twist from a typical herbed butter and the red wine jus was a perfect softening agent for the crispy bistro frites which were then luckily submerged into a chipotle wonder. And to start off the meal we all split a “Winter Salad” of Belgian endive, raisins, walnuts, Benedictine Blue cheese (Quebec's answer to Stilton), and pear with a cassis vinaigrette. 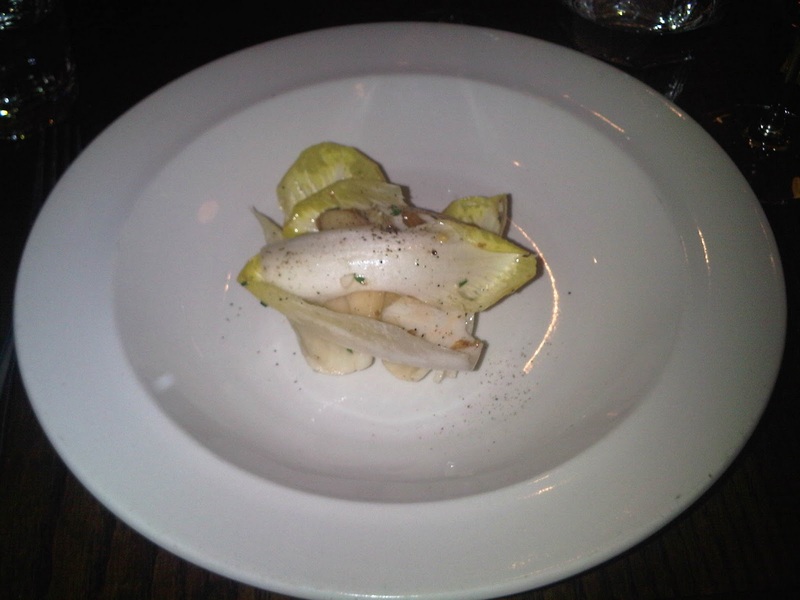 I have never had such crisp endive that held its shape just right. Each of the plates we were presented just screamed bistro elegance. For a lovely brunch, lunch or dinner á la French bistro head to Simple Bistro, un bijou dans la coeur de Mt. Pleasant (a gem in the heart of the Mt Pleasant strip)! !